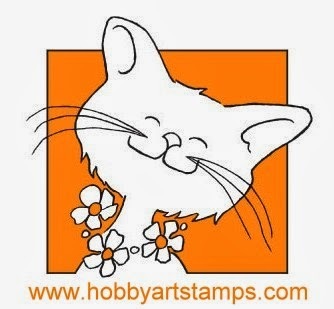 We are about to launch a new blog for Mixed Media and Altered Art style challenges and we are looking for some members to join the existing ladies who are on this team. As a design team member you will need to make one project a month, comment on the challenge entries we receive and when it's your turn choose a winner and Top 3 or 5 (depending on how well we do). Obviously the more of us there are, the less frequently your turn will come round! 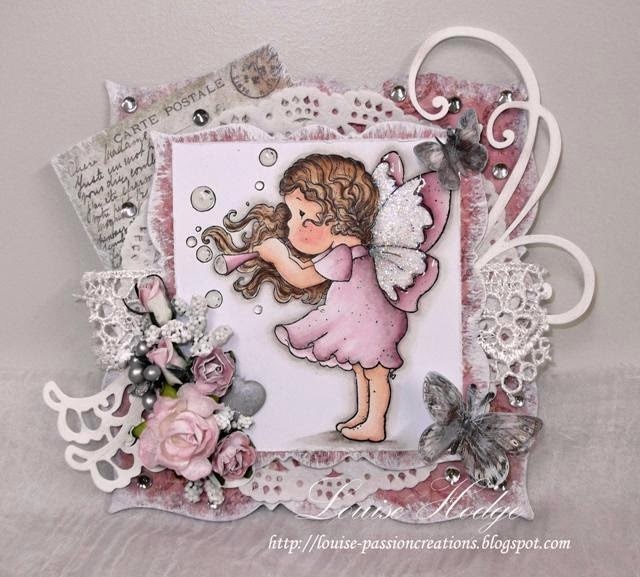 If you think you might be interested and like this style of design then please add your name to the linky list below, linking to your favourite mixed media, altered art, art journal page, decorated item etc. project on your own blog. If you want to make something specifically for this then that's fine too. We look forward to visiting your blogs. 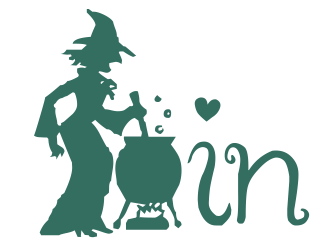 Just in case you are wondering if your style meets what we are looking for, this is our definition of what we are after, and will be on the new blog for all entrants to see as well. 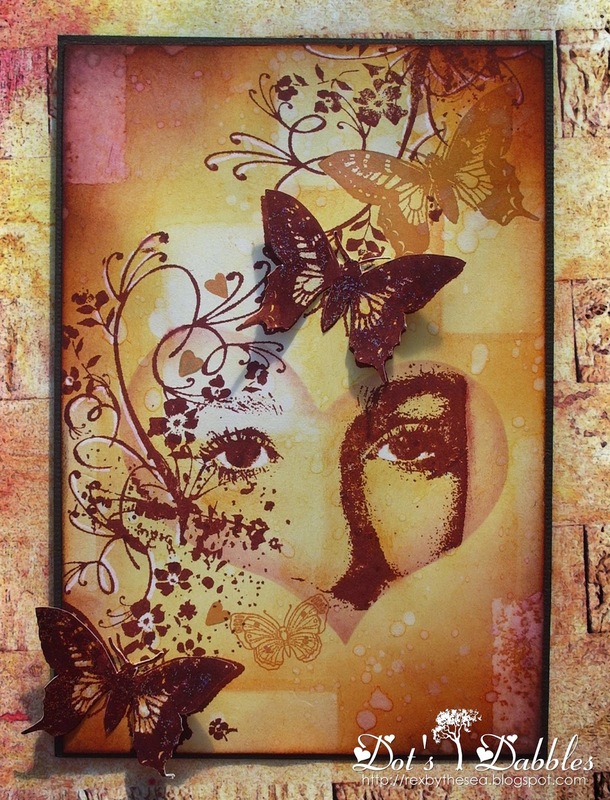 Texture paste, Gesso, inks both spray and from inkpads, embossing powders, paints, chalks, gilding wax, and gilding flakes. Found items such as old keys, buttons (granny's button box is a great place to look for some fabulous old and intricate buttons), zip pulls, zips, recycled cans, bottles, boxes etc. 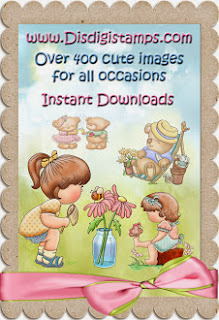 You tube is a great resource for inspiration as are pinterest and of course other blogs. With the challenges we set we will be wanting to see your canvasses, art journals, altered books, decorated wooden and mdf items, albums, upcycled pieces, recyled pieces and we are sure you can think of dozens more ideas both for things to create and things to create them with. We will not be accepting digital art as mixed media, we want to see you get down and dirty, or at the very least physically make something rather than generating it on a pc. So come on get messy, arty and join in the fun. If in doubt, apply anyway! This call will stay open until we have filled the team quota. 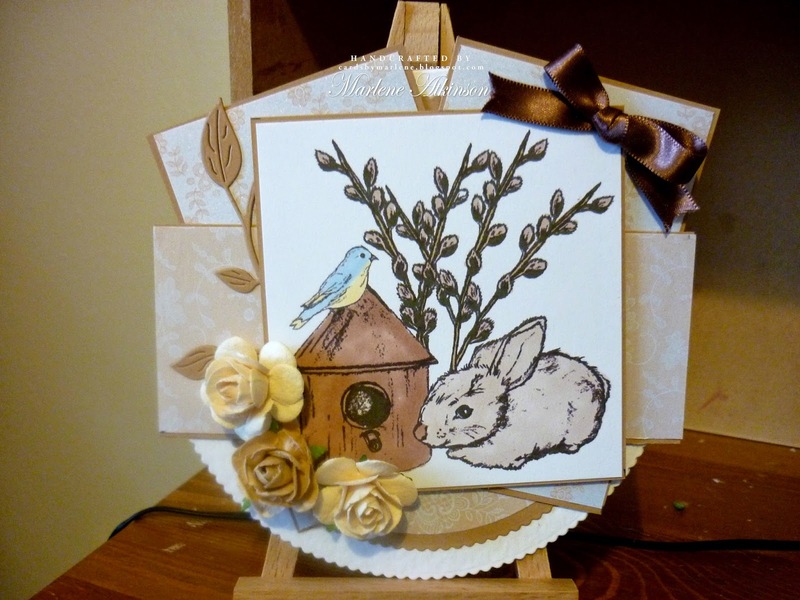 Suze is hosting our challenge today and she has chosen the theme 'Wooden it be Loverly'. She would like to see something wood related in your project (the use of paper alone doesn't count - we all know that comes from trees!) 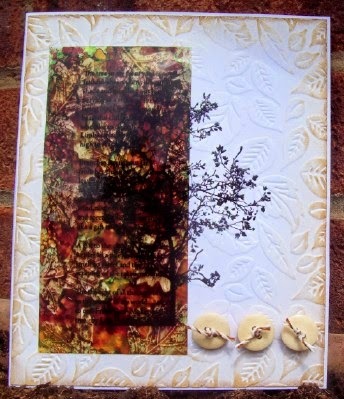 So perhaps a wooden embellishment, or wood effect embossed pattern, images of trees, a wooden fence etc. If you fancy being more adventurous your project could be something actually made of wood, so a box, jewellery cabinet, etc. etc. 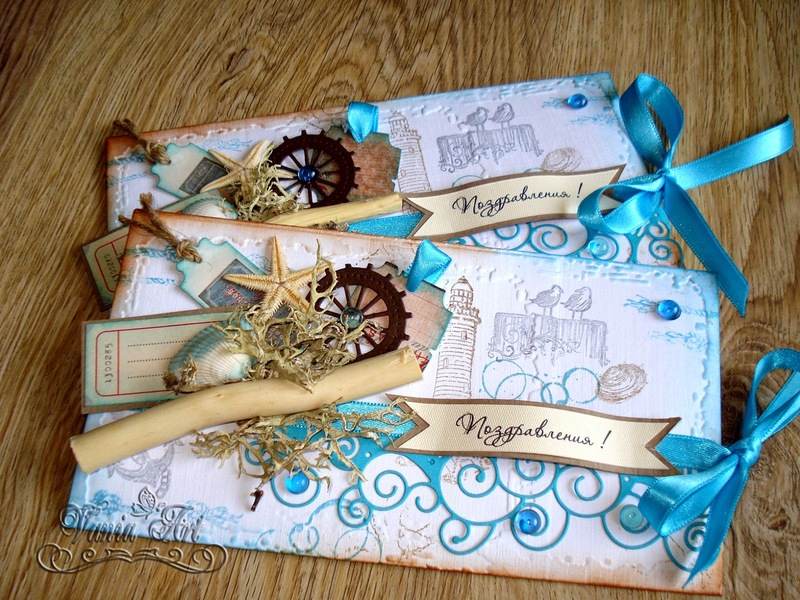 I used a wooden embellishment, some tartan and a Tonic studios die to make this Scottish themed wedding card. 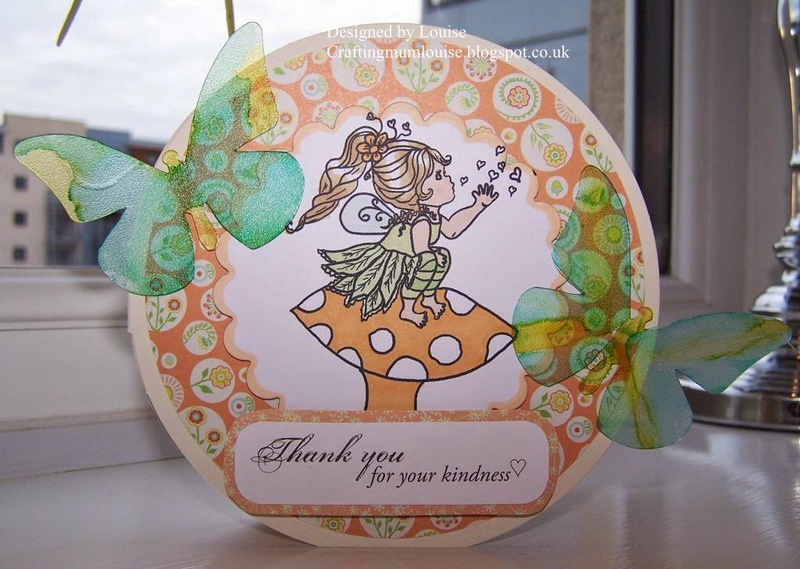 For my card I have used an old Karen's Doodles digi stamp coloured with my ProMarkers. 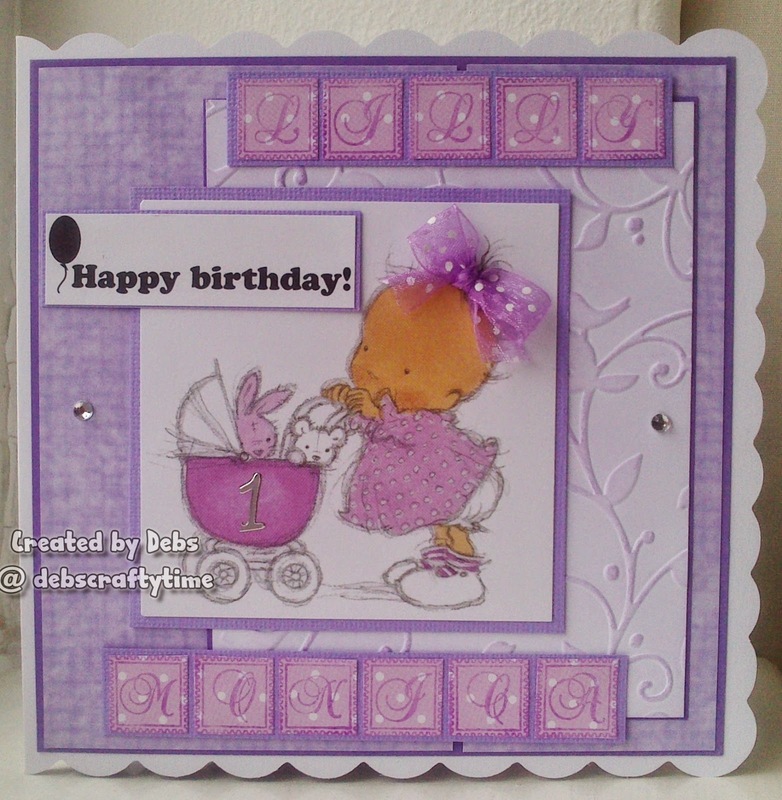 It's quite hard to see in the pic but I have used some wood effect card and some papers from my scrap box. Also on the wooden theme is the wooden boat in my image. I coloured my image with a mix of Promarkers and Spectrum Noir pencils and finished with some wooden embellishments which I've coloured with Promarkers and decorated with glitter glue and liquid pearls. 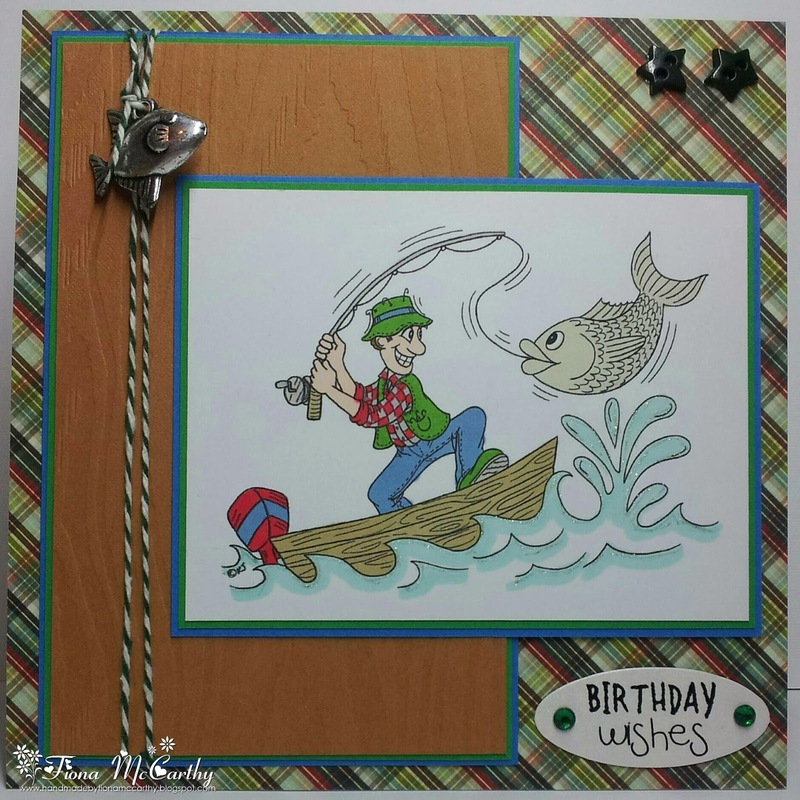 I have made an easel card. 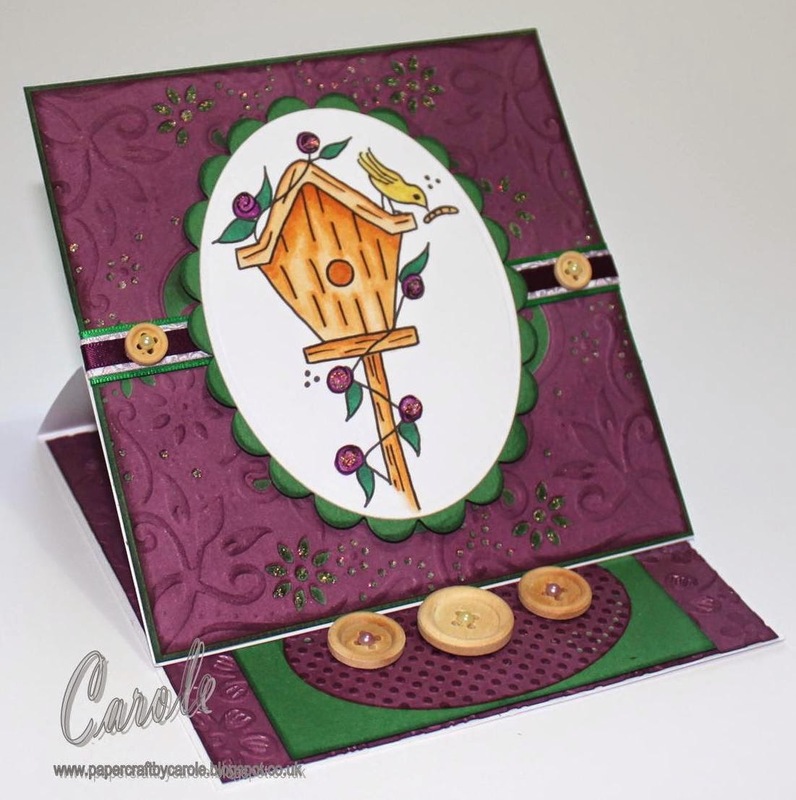 The wooden bird house along with my wooden buttons are my links to the theme. 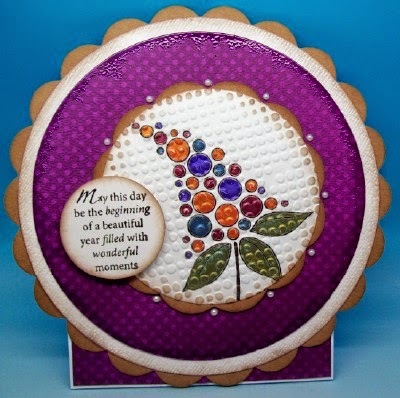 I used the fabulous Stampendous 'Tree Poem', acetate and Alcohol inks as well as a leafy Embossing Folder and some wooden buttons for my card. 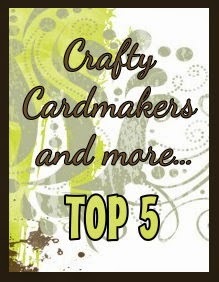 Congratulations to you all, please feel free to display our Winners' badge or Top 5 badge on your blogs. 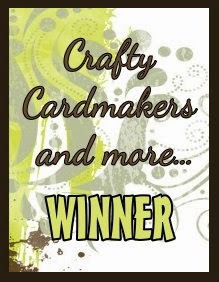 The winners have until 6th July to claim their prize, after which time I am afraid the prizes will be forfeit. 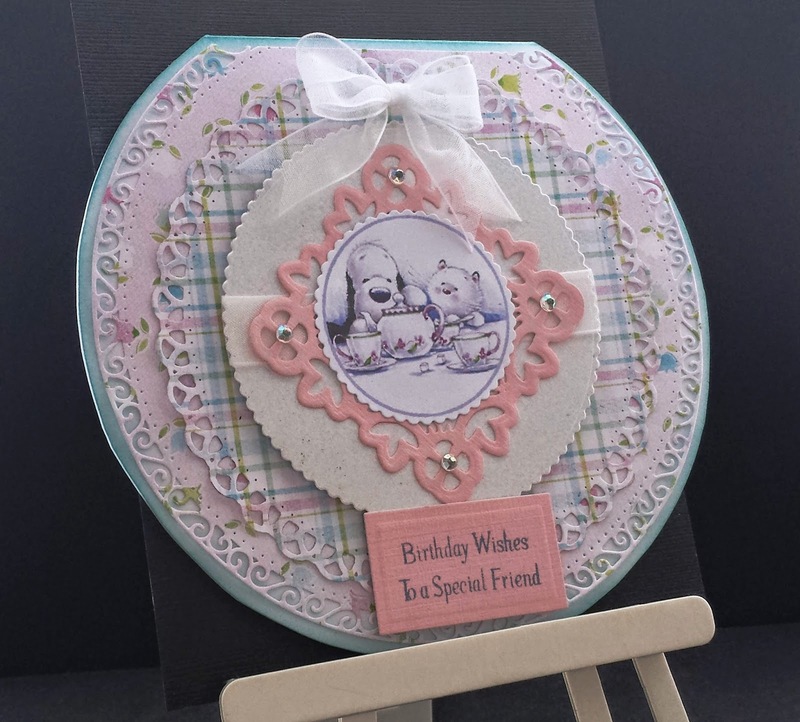 Scalloped Circle shabby style card made using Grand Nesties. 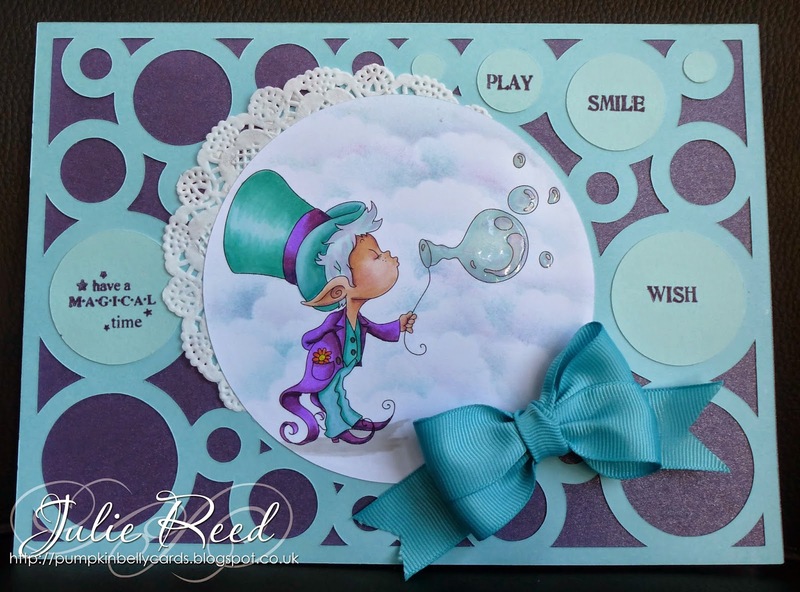 My image is Bubble Magic by The Paper Shelter and coloured with Copics, die cut background is from the Silhouette store. 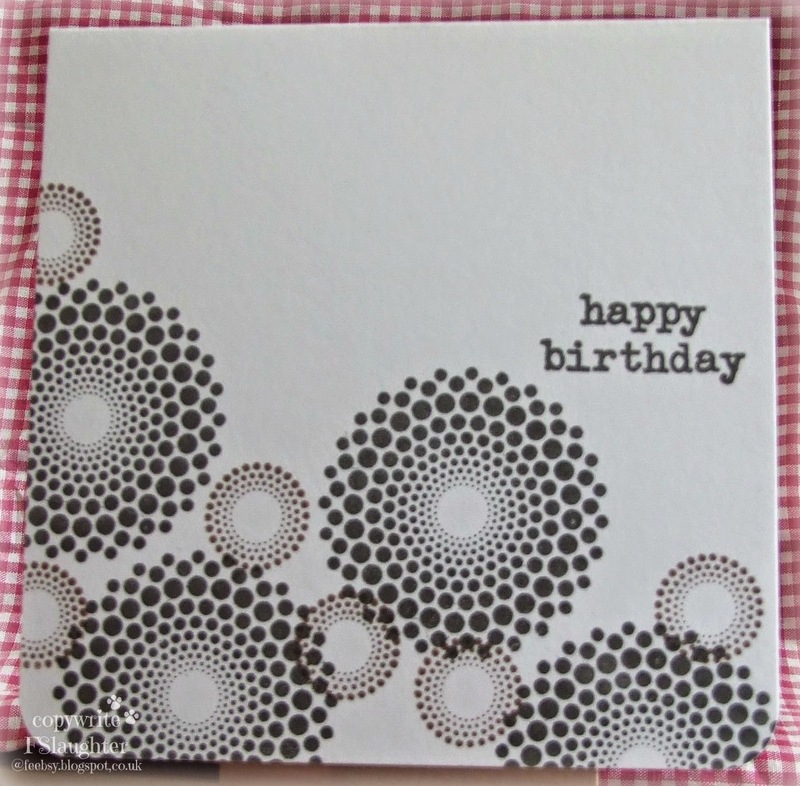 I have made a circular card using my Grand Nesties and one of Jane Gill's Dotty Flowers from Woodware. 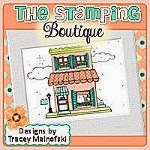 I also dry embossed the image having first coloured it with Pearlex. 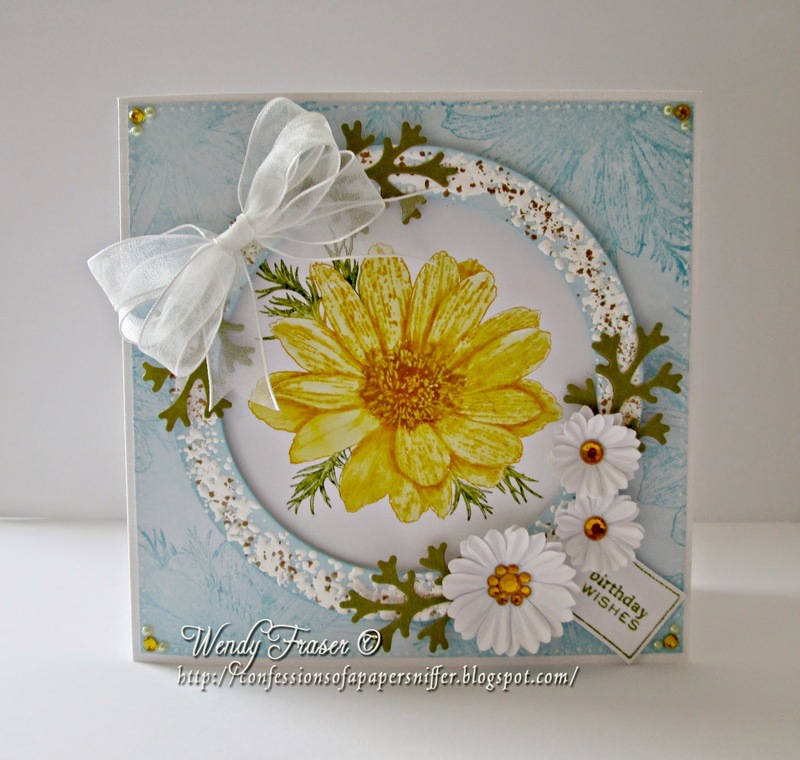 My image is from Wild Rose Stamps, and my circular paper is Basic Grey. 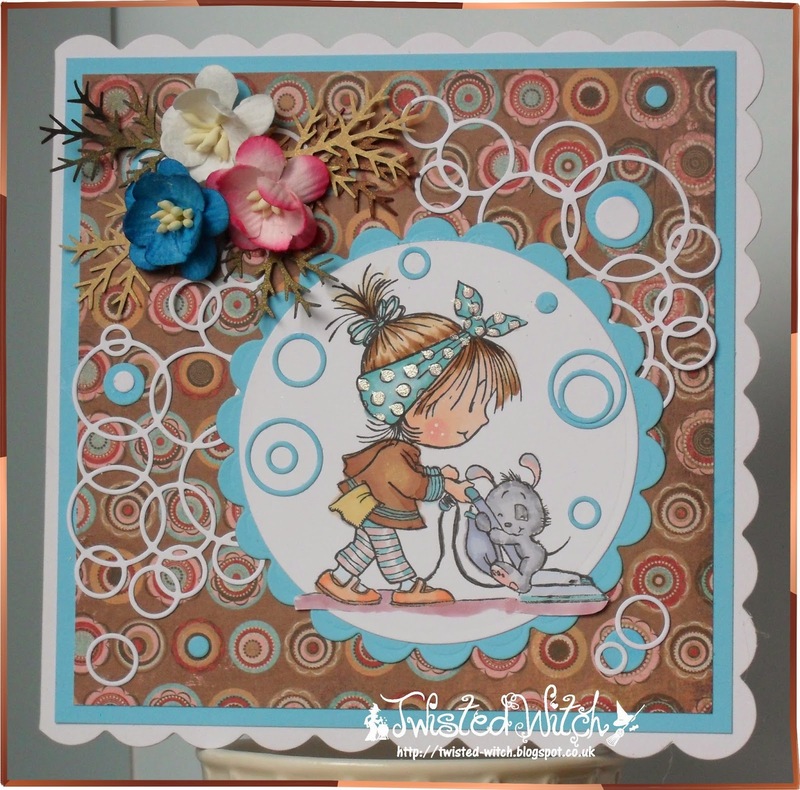 Circle dies courtesy of Memory Box and Marianne. 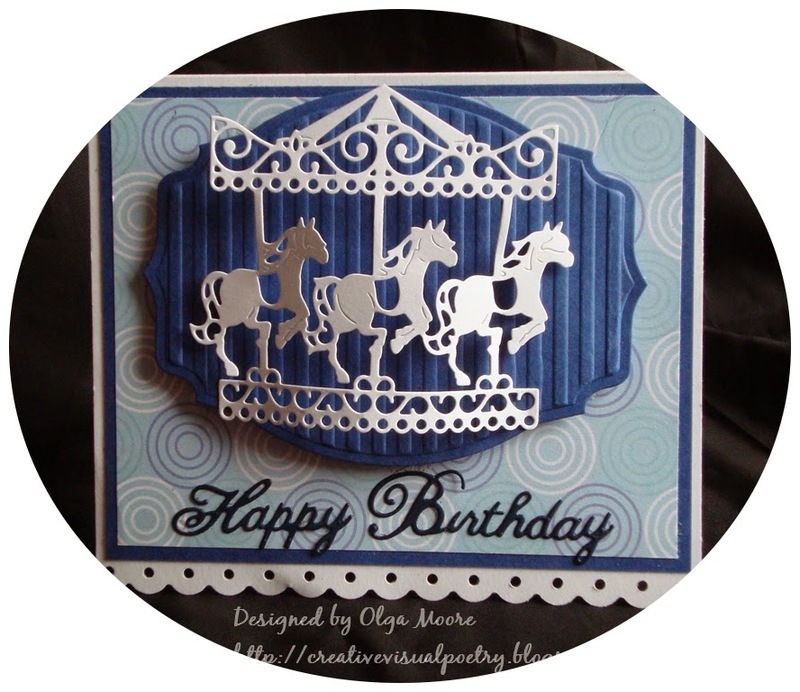 I don't have any large circular dies so I went with circular stamps. These are "Dot Spot" from PTI. 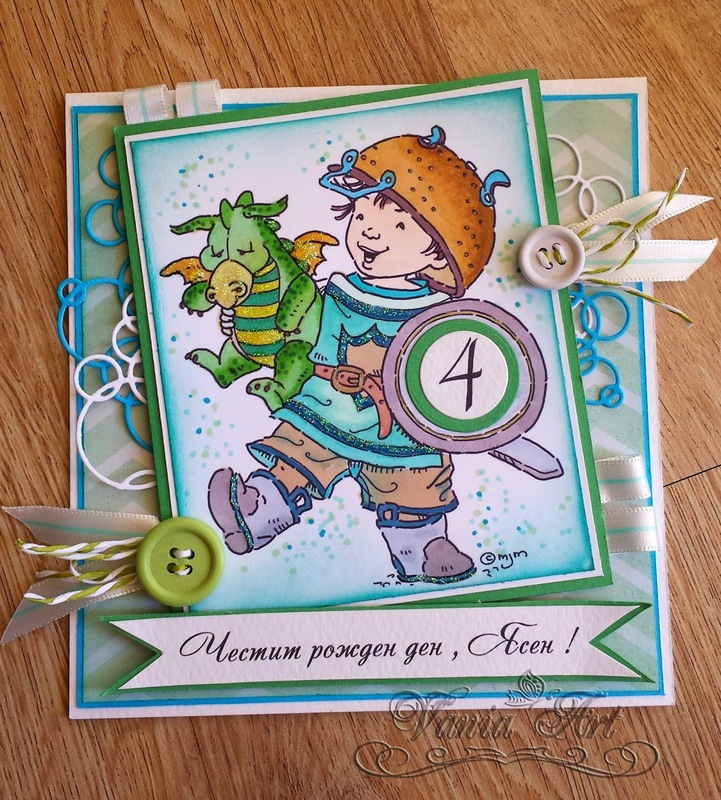 I added curved corners to finish the card. 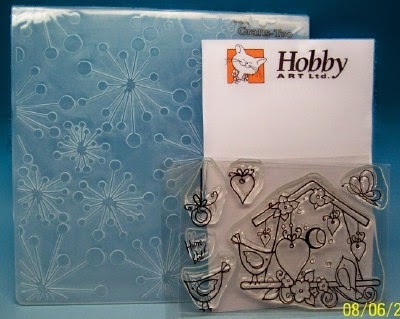 I made a rocker card using a combination of dies from my stash, and some free Nitwits paper that I got in a magazine this month. 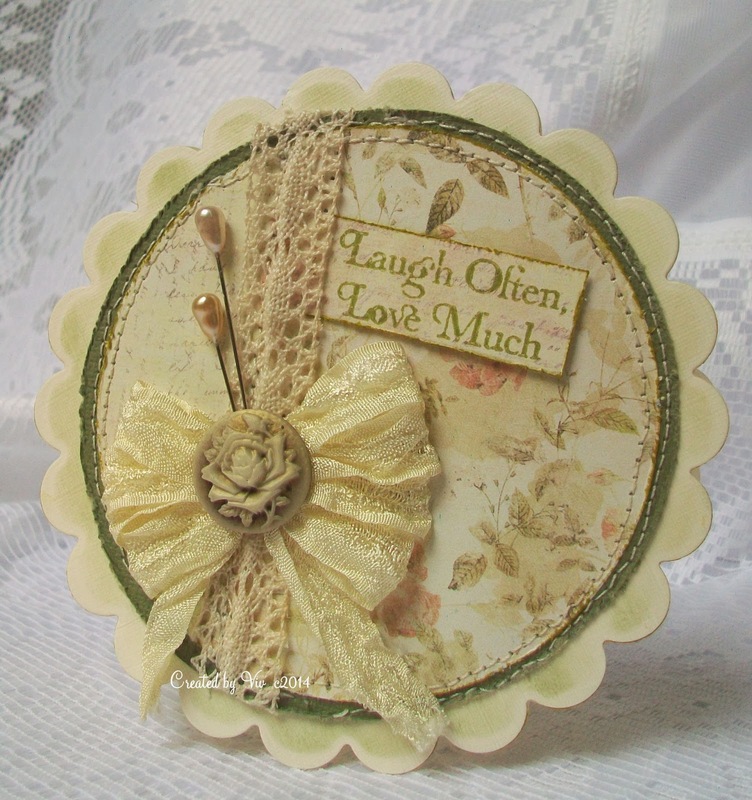 The small centre topper comes from my Crafters Companion Barclay cd. and I have one of my own, so really this time we have a top 6, but I couldn't get past how clever, if scarey the final one was!!! 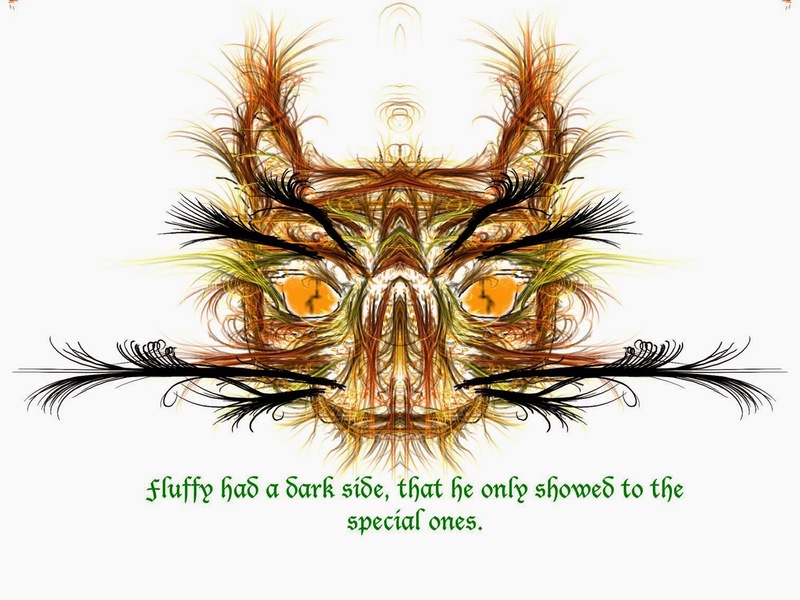 I definitely wouldn't want to meet 'Scruffy' up a dark alley. The winners have until 22nd June to claim their prize, after which time I am afraid the prizes will be forfeit.